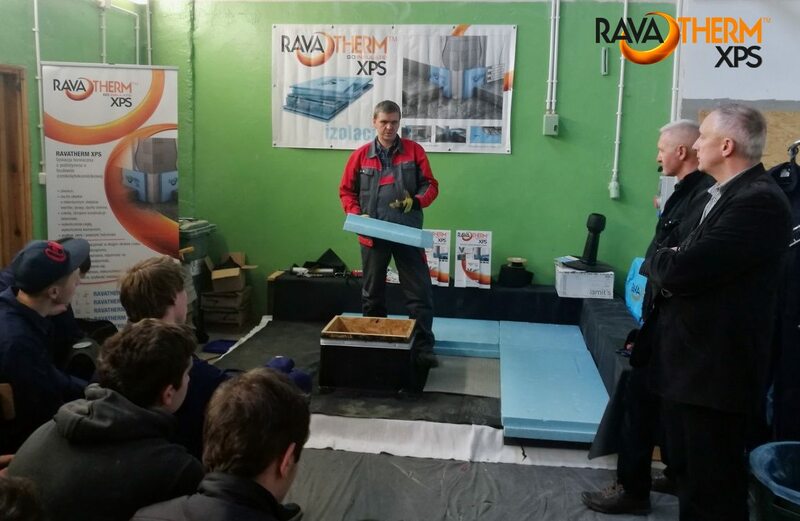 Ravago company became a partner of a pilot didactic program in Poland, dedicated to vocational schools with a profile for insulation installers and building technical schools, prepared by the Akademia Dachów Płaskich. The program, under the patronage of Ravago Poland, Firestone, Klimas Wkret-met and the Association of Flat Roofs DAFA, began in November 2017 and will last until March 2018.So far, classes have been held at the Practical Training Center in Sierpiec (Technical School of Construction and Vocational School) – classes 5 and 22 November 2017, Gostyniński Educational Center (Technical College) – classes 27 and 29 November 2017 and the School Complex named after Dr Jan Zwierz, in Ropczyce (Technical College) – classes 13 and 20 December 2017. The training consisted of a theoretical and practical part. As part of the training, the students got acquainted, among others, with inverted roof technology, practical aspects of making roofs in such technology and the properties of extruded polystyrene RAVATHERM XPS. In the practical part, the students learned how to install RAVATHERM XPS insulation in inverted roofs. At the end of the meeting, participants were provided with RAVATHERM XPS product catalogues. The next classes will take place in the Vocational School Complex no. 1 named after Jana Pawła II in Dębica – classes February / March 2018. We would like to thank the Akademia Dachów Płaskich for inviting Ravago to participate in this very interesting and valuable educational program.